In these turbulent times, a number of designers at New York Fashion Week have sought to broaden the definition of femininity and feminism. 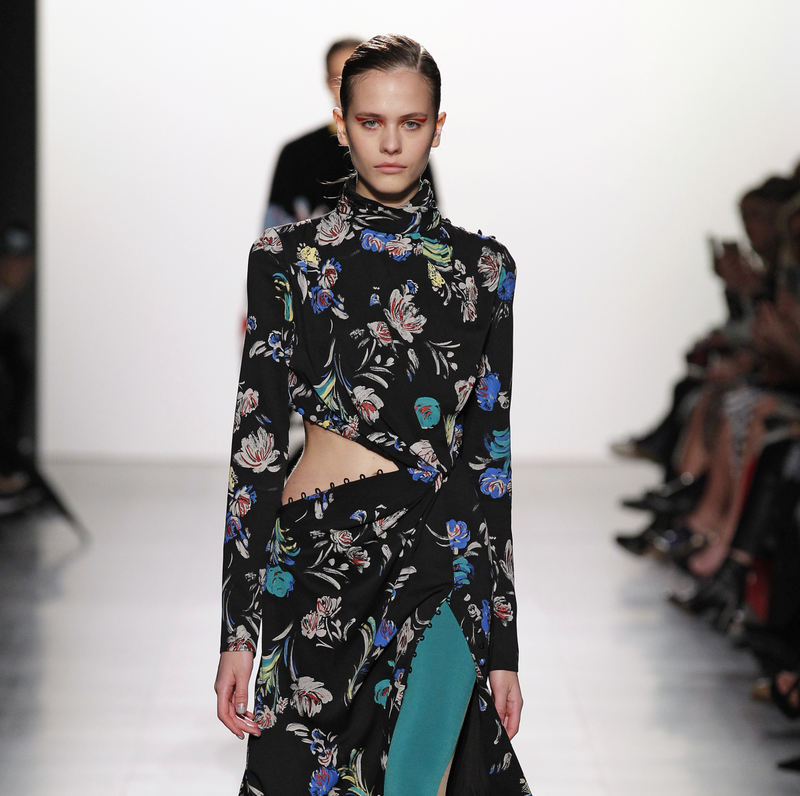 Among them is Prabal Gurung, who said in his program notes: "Femininity has not one definition and this fall begins with a question, 'What does it mean to say a woman should 'dress like a woman?' 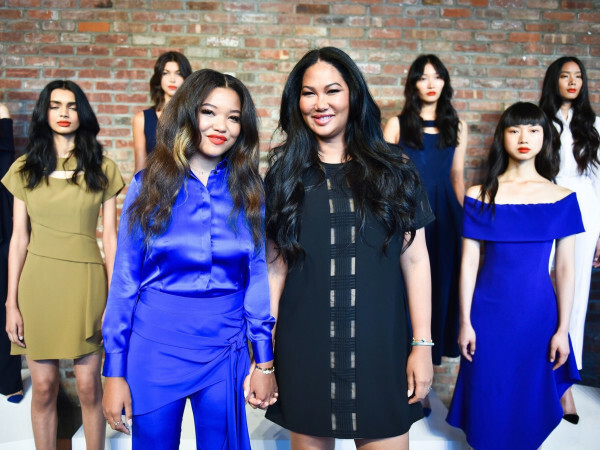 "
For his fall collection, Gurung offered a little something for just about every woman, from chunky sweaters to stylish ankle banded pants and jackets with bell sleeves, a mink coat in a blurred camouflage pattern, modest silk dresses, and see-through crystal gowns. Some looks were buttoned up, some were revealing, and some were both. 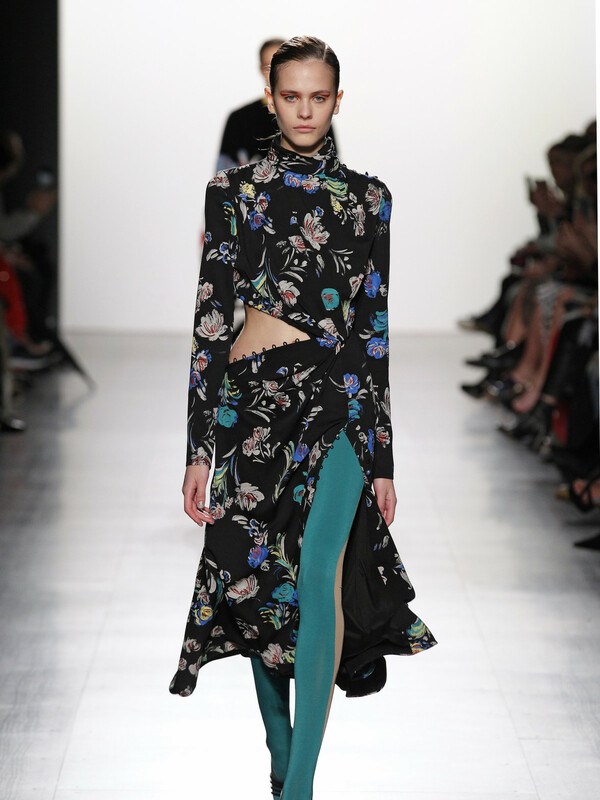 Gurung featured a couple of plus-size models in mid-length dresses with silk covered buttons that opened at the shoulder or the skirt for a sexier look — showing a curvy woman can wear designer clothes if only designers would make and show them in larger sizes. 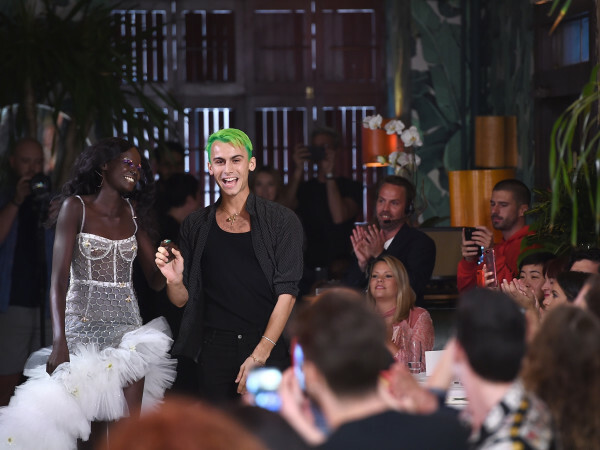 For his final runway bow to emphasize his message, Gurung sent the models out in all-black and all-white T-shirts with such phrases as "Femininity With A Bite," "Love Is Love," "My Boyfriend Is A Feminist," and "My Girlfriend Is A Feminist." When Gurung made his appearance in front of the enthusiastic audience, his T-shirt read, "This What A Feminist Looks Like." The T-shirts retail on Gurung's website from $130 each. 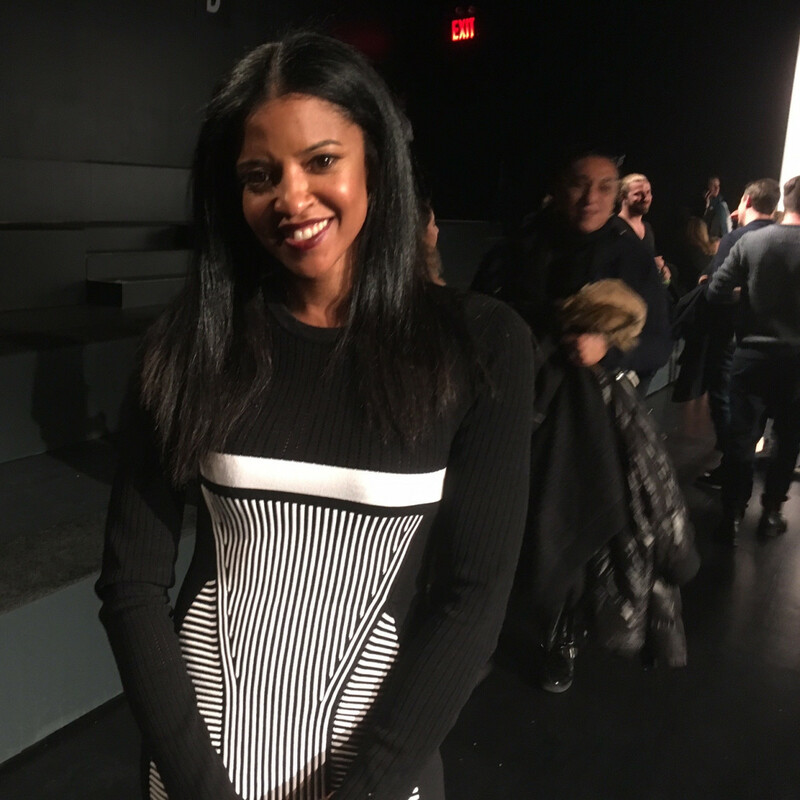 Before the show began, I caught up with Renée Elise Goldsberry, the Tony-winning star of Hamilton, on the front row. When asked what she liked about Gurung, she effused, "Well, it's great because now I'm a fan of his as a person. I was in love with his clothes first. I had the opportunity to wear them to the Golden Globes this year. I feel like you can really make a statement with the clothes that he wears. "And I'm excited about tonight, because I know it's inspired by feminism. I feel like #Sisterhood. It's timely and important and it feels good to be doing things that are timely and important, supporting people who are doing things that are healing." 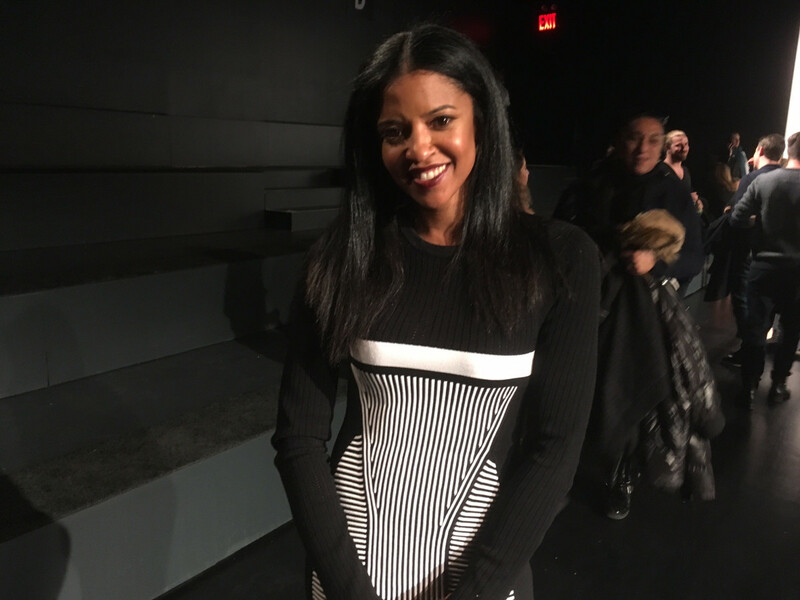 Goldsberry also was extremely excited to join her Hamilton castmates Phillipa Soo and Jasmine Cephas Jones — they originated the roles of the Schuyler sisters, Eliza, Angelica and Peggy, in the hit musical — to sing America The Beautiful at the Super Bowl pregame show in her hometown of Houston two months ago. "It was a once-in-a lifetime experience and I was really grateful that I got to do it because I'm from Houston," she said. "It was a beautiful reunion because I was home with my family and it was a beautiful reunion because I was with the two girls who were my sisters in Hamilton, and we don't work together anymore, so it was good to have a reason to stand together." Goldsberry is currently filming the Netflix series Altered Carbon in Vancouver (based on the 2002 hardboiled cyberpunk science fiction novel by Richard K. Morgan, it's out next winter). And she portrays the title role in the HBO film The Immortal Life of Henrietta Lacks with Oprah Winfrey and Rose Byrne. According to Wikipedia "Henrietta Lacks was an African American woman who was the progenitor of the HeLa cell line, one of the most important cell lines in medical research ever discovered."